Back in October, we wrote how impressed we were with the work Xenex was doing in the fight against Ebola. Two months later, Ebola is still very much in the news and Xenex has been right there with it. Here at GrabCAD, we’re proud to help engineers stay focused on doing important things as quickly as possible. If we save them time and money, that’s okay too. Deepak Jayaraj, an ME at Xenex, was kind enough to take some time out of his busy schedule and answer a few questions about how he and his team use Workbench, the advantages of a cloud-based PDM, and why Xenex chose GrabCAD Workbench over Solidworks Workgroup PDM. 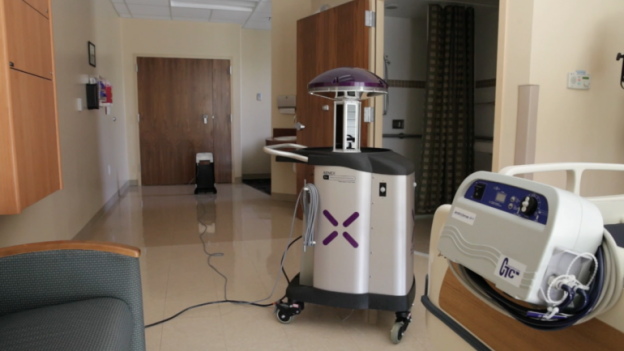 Xenex Disinfection Services is best known for its Germ-Zapping Robots. What can you tell us about them? 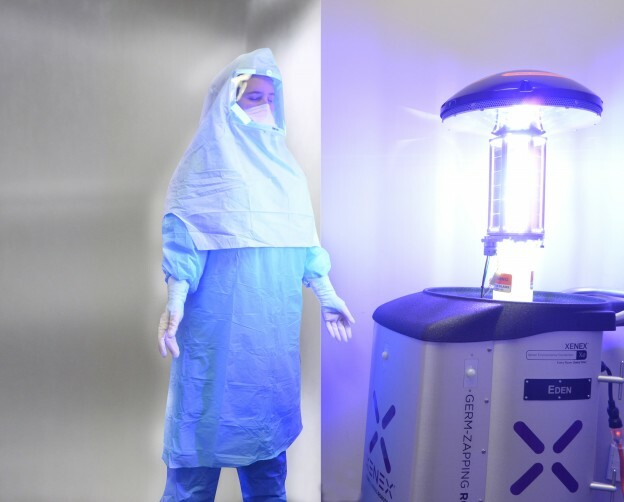 The Xenex Germ-Zapping Robot, a no-touch disinfection system, uses environmentally-friendly, full spectrum, pulsed xenon to create UV light that is 25,000 brighter than sunlight. The intense germicidal light emitted from Xenex’s germ-zapping robots destroys viruses, bacteria, mold, fungi and bacterial spores in just 5-10 minutes per patient room. Launched in 2010, Xenex robots are now in more than 250 U.S. hospitals, VA and DOD facilities. Hospitals are publishing, peer-reviewed patient outcome studies proving the system’s efficacy on reducing infection rates for C. diff (1), MRSA (2) and other Multi-Drug Resistant Organisms (MDROs). Use of the Xenex robot has even contributed to increased patient satisfaction (3). Fornwalt, Lori, and Riddell, Brad. “Implementation of innovative pulsed xenon ultraviolet (PX-UV) environmental cleaning in an acute care hospital.” Risk Management And Healthcare Policy 7 (2014):25. How about you? Can you tell us a little about yourself? I am Deepak Jayaraj and I work as a Mechanical Engineer at Xenex. I graduated from the University of Michigan with a Masters in Robotics and Autonomous vehicles and joined Xenex right after graduation. How did you know it was time for a PDM solution? What prompted you to try Workbench? PDM was always something that we considered right from the time we started designing and developing our robots. But with a relatively small engineering team, it was acceptable to use a general, cloud-based file management system to begin with. We prefer cloud-based file management because we don’t have a dedicated IT department on site at Xenex. The engineering team didn’t want to take responsibility for maintaining a server on our own, so a cloud-based system made the most sense for us. It is risk free, easy, and convenient. Xenex has a fast-paced working environment and things around here evolve rather quickly; whether it is a proposal for improving our product or a suggestion for refining a process. When the engineering team started growing in size it started becoming difficult to keep track of the changes and finding the latest and greatest addition. This was the time we all decided that we need to implement a PDM solution. As we work primarily in Solidworks, Workgroup PDM was our first choice. Workgroup PDM is not designed to be used with a cloud setup as per Solidworks. But there are certain third-party companies that have developed a framework for hosting Workgroup PDM in the cloud. That option was too expensive and time consuming for a small company like ours. 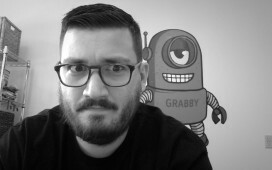 The problems that we ran into with the cloud implementation of Workgroup PDM prompted us to look into alternatives and it was then that we stumbled upon GrabCAD Workbench. The month-to-month subscription, affordable pricing, ease of use, and the very helpful customer support made Workbench an obvious choice. How do you use Workbench? Where does it help? We predominantly use Workbench for version tracking and sharing with non-CAD users. Partner Spaces makes it really easy to share the drawings and models with vendors. The design changes that we make here are reflected in the partner space, so we don’t need to send them updated drawings separately. It is very helpful when the collaborators, production and even the supply chain department can view, measure and comment on the design without needing access to a CAD software. The provision for commenting while making a version update has also proved to be valuable to keep track of the motivation for the changes. There have been instances when we needed to go back to an earlier version and with Workbench it is as easy as a couple of mouse clicks. I would definitely recommend Workbench! GrabCAD Workbench offers a full set of file management and collaboration tools to ensure that engineers and partners can find the right CAD file, avoid duplicate work, and get input from everyone involved. It’s ideal for mid-sized companies who need to coordinate multiple engineers but don’t need the cost and hassle of traditional solutions.